The library e-content outlook for 2019 is mixed with significant challenges and opportunities, according to leaders from the American Library Association (ALA) and key publishing industry stakeholders, who held a series of meetings in New York City December 3–5 on e-content and ebooks policy. 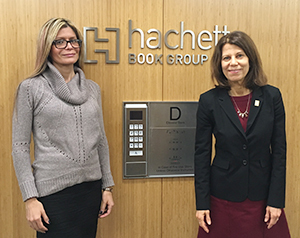 ALA President Loida Garcia-Febo and Past President Sari Feldman at the Hachette Book Group office. As ALA’s senior director of public policy and government relations, I joined ALA president Loida Garcia-Febo and Sari Feldman, senior policy fellow and past president of ALA and executive director of the Cuyahoga County (Ohio) Public Library, for separate meetings with Hachette Book Group, Penguin Random House, Macmillan Publishers, Simon & Schuster, HarperCollins, the Book Industry Study Group, and the Authors Guild. The conversations were encouraging, but they illuminated the challenges to come in the months and years ahead. At the publisher meetings, each group articulated the unquestioned value of libraries in the reading and publishing ecosystem and indicated a strong desire to continue engagement with libraries. Discussions focused on how to strengthen that engagement. By contrast, earlier this decade ALA’s Digital Content Working Group did not universally receive such a welcome; back then some companies had openly questioned whether to market ebooks to libraries at all. 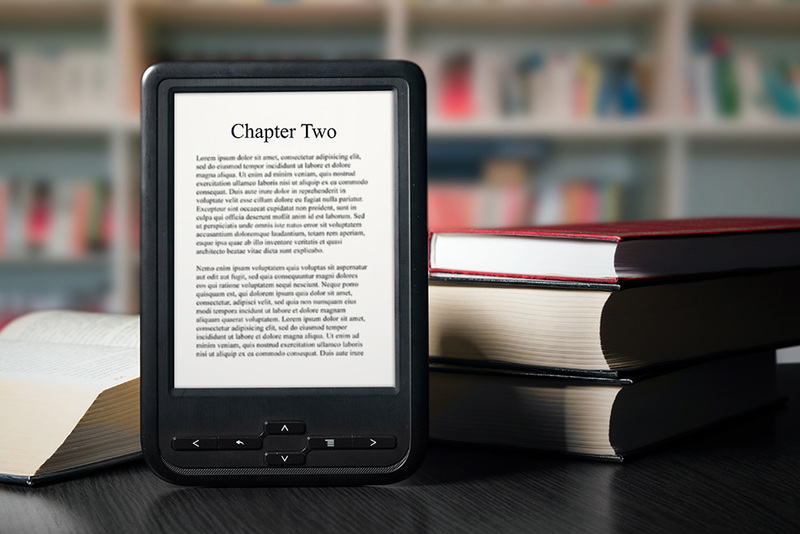 Some companies seem to have definite ideas for changes in their ebook lending models in the relatively near future, whereas others appear likely to maintain a steady course ahead. Every publisher talked about new release bestsellers. These books represent a large chunk of publisher revenue and are the most popular among many library users. Also, data suggests that libraries are increasingly directing trade ebook purchases toward frontlist titles. We debated whether such a policy and direction for libraries was in the best long-term interest for libraries or publishers. There was consensus that further examination of this question is warranted by the library and publishing communities, which ALA will be pursuing. One important conclusion from the meetings is that more consistent and strategic engagement of these issues with major stakeholders is essential. Occasional trips to New York are not enough. Instead, ALA and the library community need to work with publishers and other major stakeholders on an ongoing basis, focusing on both near-term issues such as specific ebook licensing terms as well as broader strategic industry issues and relationships. What are new ways that publishers and libraries may partner that advance both our common and distinct goals? An even more important conclusion is that much greater focus is needed on strategic issues as well as tactical ones (which is true for the entire reading and publishing ecosystem, not just the library sector). In particular, the continued rise of Amazon as the major force in book and ebook distribution has fundamental implications for the future role of libraries and providing access to content. The plight of authors also merits increased scrutiny as the digital age has brought them economic challenge—just like libraries. ALA is following up with publishers and related organizations on these issues. Stay tuned for developments and possible ways to become involved. « Anyone game for serious play?